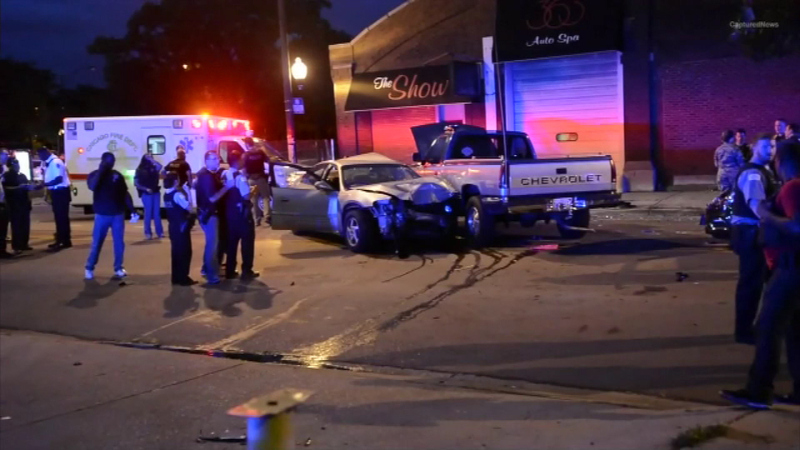 CHICAGO (WLS) -- Margaret Silas, 88, has been pronounced dead after being hospitalized in serious condition after a crash in the city's South Side last week. Silas and her daughter, Geraldine Snell, were driving on King Drive near 75th when their Saturn was nearly T-boned by a car speeding away from police on Aug. 24, police said. Snell's car was pushed into a truck being fixed by innocent bystander Willie Owens, 66, who was also killed. An autopsy for Silas is scheduled for Monday.